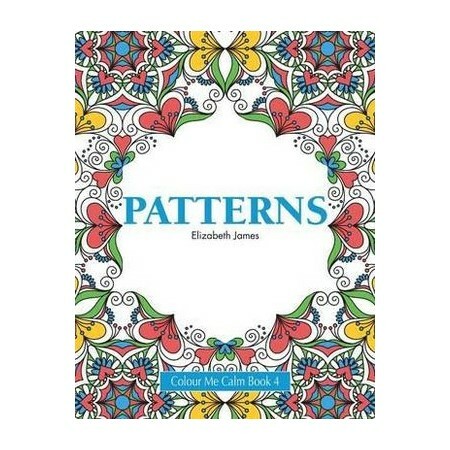 Colour Me Calm Book 4: Patterns is a beautiful and relaxing creative colouring book for all ages ! Switch off, unwind, and unleash your inner creativity as you lose yourself in the flow of colouring in these stunning patterns and designs. Each of these beautiful individual designs are printed on a single page with the reverse left blank - so no bleed through, and perfect whether you use pencils, pens or paints. Collect the whole ' Colour Me Calm' series or check out Elizabeth James' other books: the great ' Really Relaxing Colouring Book' series, the lovely ' Completely Calming Colouring Books' or try the unique ' Cool Colouring Books' Collection too!